I hope everyone's s Sunday is going well! My dd and I went to church by ourselves b/c dh had to work! After church we hit the water park with my SIL and her daughters! It was fun, but boy was it WARM! Glad to be back in the AC. Oh don't forget the fluffy bow and the little gem on the flower! I also used Seeds of Blessing for the sentiment! That TAC set has the best sentiments! I sure hope we see some more of those in the new catty! It will be out in less than a month!!! Yeah!!! 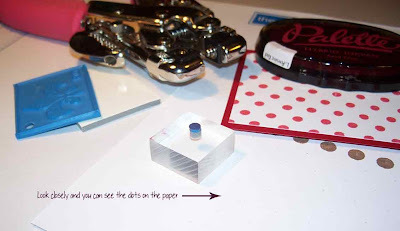 So the other day, I showed you how to make super easy polka dots without actually having a polka dot stamp! In that post I made a background with red polka dots! I used that background in today's card! 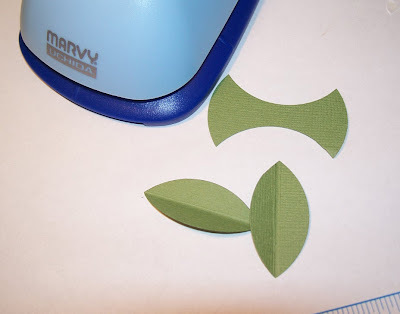 Now today, I am going to show you how to make "leaves" without using an actual leaf die cut! 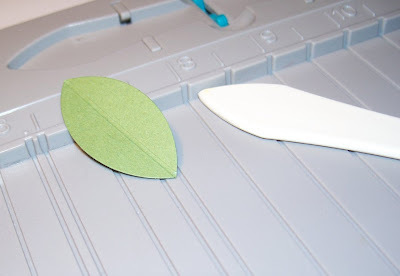 I was inspired to make "leaves" from this blog. These are similar to Dawn's but I have put my own little twist on them. Here they are....aren't they cute? 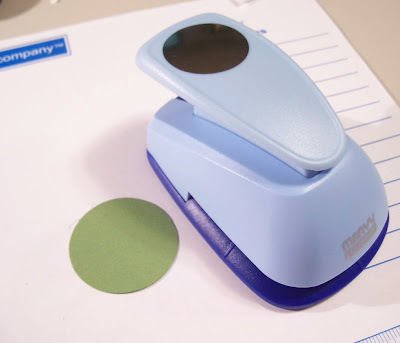 First, pick your green cardstock and grab a circle punch. I used Marvy's....I love my Marvy's! They are my favorite. :) I love that you can take the bottom "paper catcher" off and see where you are punching! If you want 2 leaves, punch one circle. 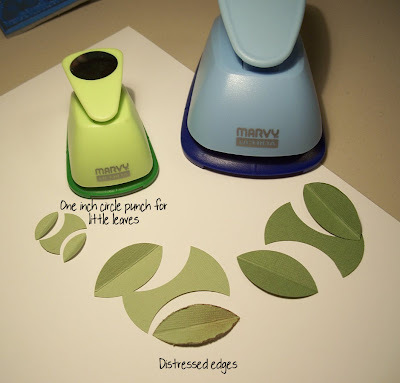 Then slide your circle into the punch and when you see your desired "leaf" shape, punch it out! Repeat...and then gently bend on the score line! 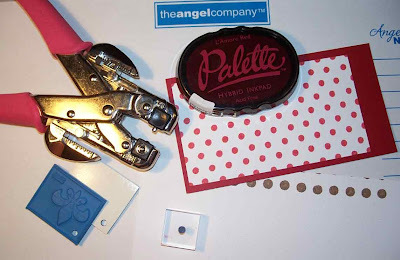 Just a few other ways to use the circle punches. You can always use different size punched for different size leaves. Here is a 1 inch and it makes the cutest little leaves. You can also run your edge distresser or even your finger nail over the edge to give it worn look. I used Burnt Umber on the one in the picture. Thanks for stopping by again! Remember to leave a link in your comment or email me, if you have something to share! Now I can already hear it. This is either going to be just so simple you will laugh OR you are going to say it is too much work but let me tell how much fun it is! This is a long post so get comfy! This template is made by using your period key and spacing them out on a blank document. Here is how I did it.....I hope this makes sense! The biggest thing is to watch the color of your dots. 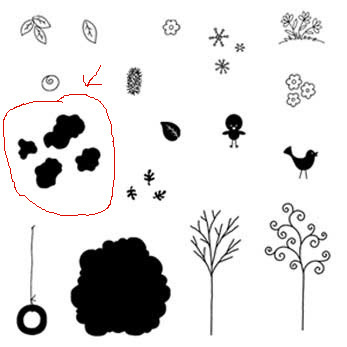 If you are going to make black polka dots, you can print your document with black ink. If you are going to use a lighter color, you need to make the dots as light gray as possible so you can still see them but they won't show through your ink! 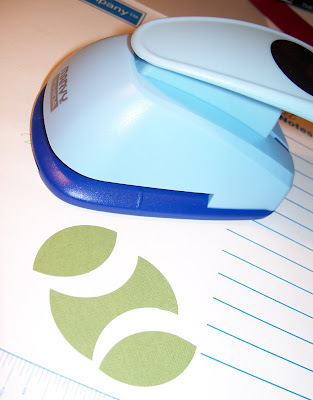 Next, print your document on a high quality white cardstock. I use The Angel Company's Ultrasmooth White. It prints out perfect! I also printed with black ink on TAC's Brown Cardstock. That worked great too! 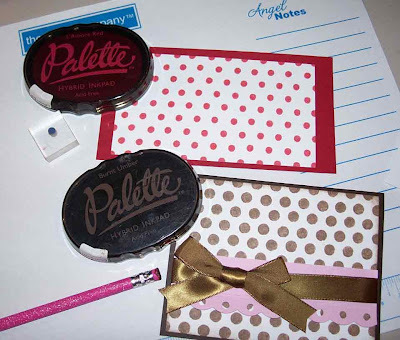 Last, you need to pick out your polka dot tool! For this first card I simply used a #2 pencil eraser that had never been used! 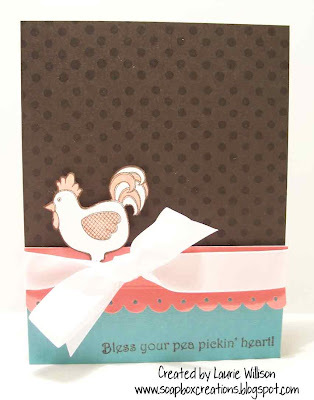 Here is the example with the Brown Cardstock. I used Brilliance Moonlight White! This is a fantastic white by the way! 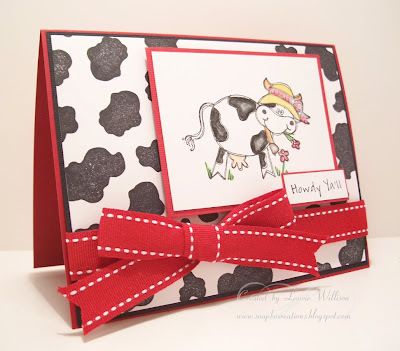 Here is this card with the white polka dots! I will say one thing. What you use will give you so many different looks. This one is a more distressed polka dot. 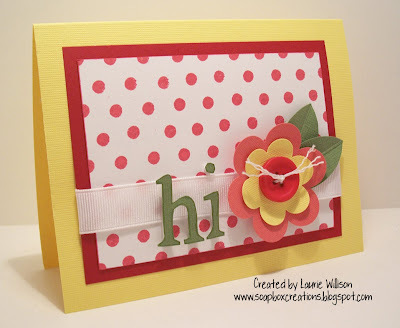 Keep reading and I will tell you how to make the smaller polka dots.! 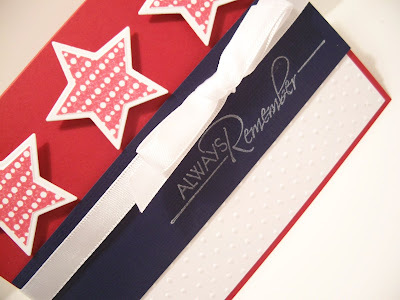 For the white polka dots and the red polka dots below, here is how I made them. 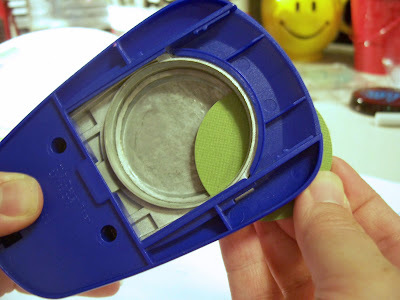 I took an uncut gift with purchase stamp and cut the larger size whole out of the extra rubber with my Crop-O-dile. 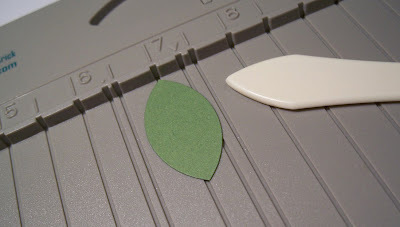 I also cut a small piece from the cling, basically making my own small stamp! 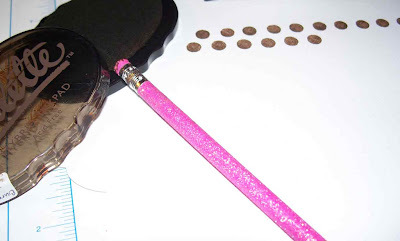 Now you could also use a tiny eraser on a pencil or any other circle stamp you already have but I didn't have anything smaller than a #2 pencil so I had to get creative! Again, you just follow the printed out dots and stamp over the top. 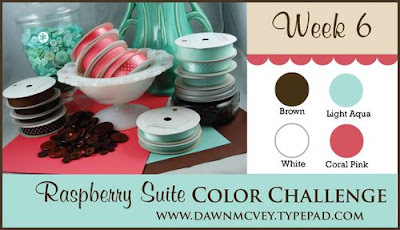 One fun thing about this template is that if you wanted different colored polka dots you can use multiple ink colors. Or if you wanted "missing" spots, you wouldn't have to ink everyone. You can go over the printed dot with an eraser and it should come off so you can't see it. You can also play with the spacing of the "periods". 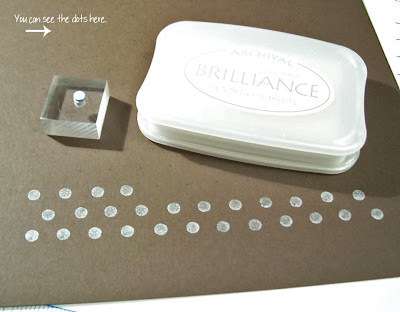 Space the farther apart and use a larger eraser for bigger dots. Space them closer together for a smaller print! The possibilites are endless! Just a quick recap of what I used and the sizes of dots. I know that was alot to take in! BUT if you have any questions, email me! 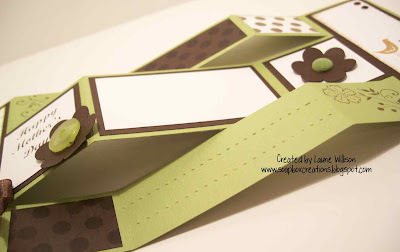 I can send you the polka dot template so you don't have to make your own! This really is super easy! 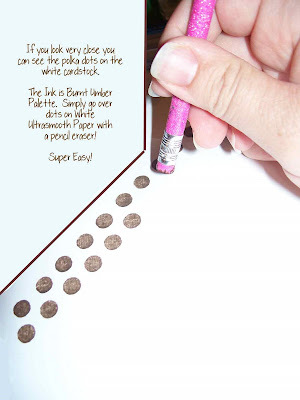 Once you have the print out, ink and tool you can whip out polka dots pretty fast! If you give it a try, email me with a link so I can see! 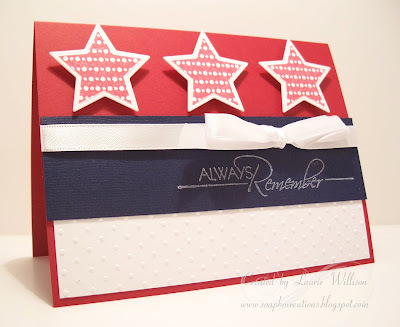 Just wanted to post a quick Memorial Day Card! I used TAC's Linear Sentiments! A friend figured out something really fun with this set! The stars work PERFECTLY with the Star Nestabilities. I love it! You can see her card HERE! And the the sentment was perfect also! This was from TAC's Always Remember set! I thought it all just coordinated so well! Hope you and your family have a safe and fun holiday! 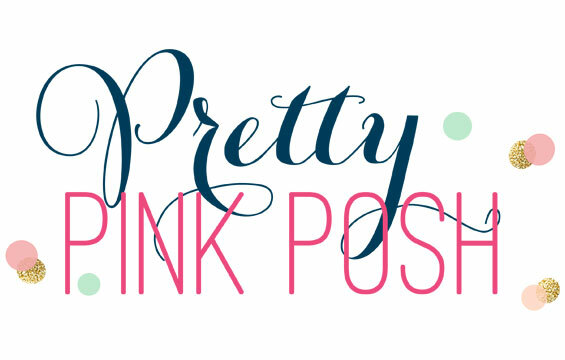 If you follow my blog you may already know that I love finding uses for stamp images, other than what they are intended for! 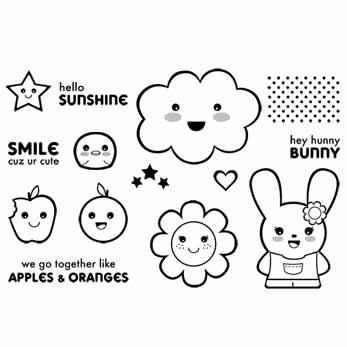 It just makes a stamp set so much more versatile and fun! 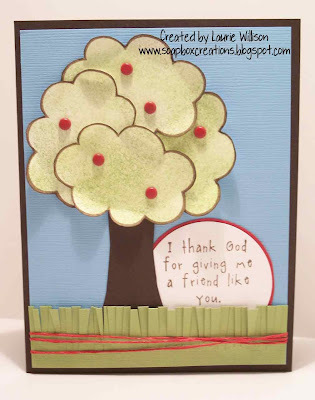 With this stamp set, The Angel Company's Springtime, I found a super fun use for what should be a part of a tree! How much fun is this background paper? Now I am not generally a "cow" person! (I think this stems from having a kitchen decorated in cows for numerous years, and subconsciously I am trying to separate myself from them!) 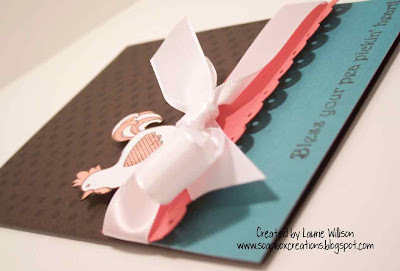 BUT, I do love this card and I love the alternate use for this stamp! 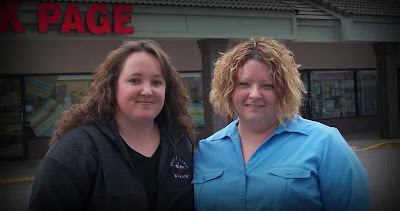 Here is another fun example to check out from a past post! Just had to share my fun discovery! 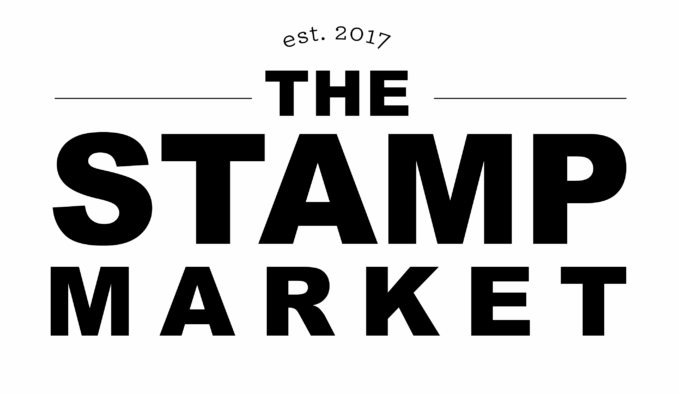 If you find a stamp that you can use for something other than what it was intended, post a comment and share a link so I can see! Have you ever tried it? Well, this is one of those things that I just thought was not something I really needed to try! 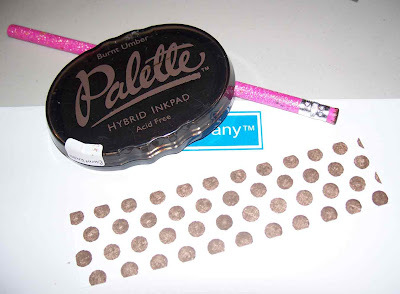 Why try this when we have every color of ink available? Well, then I went and tried it! And it was really cool! I am sure people have WAY easier ways to do it, but this is how I did it! 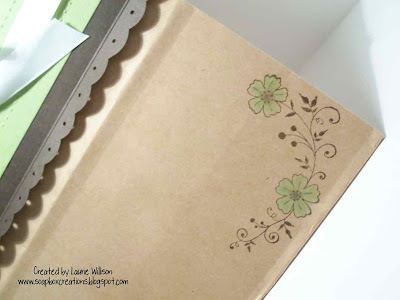 I used TAC's Olive Cardstock, which by the way is so super yummy! It is so nice and thick! 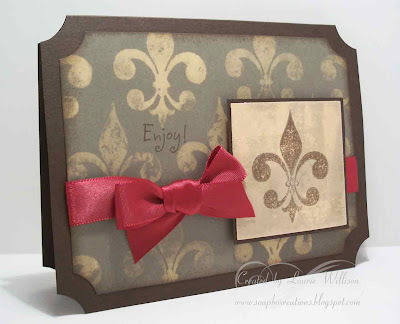 The card base is made from TAC's Brown Cardstock. The layered image on the front is out of Olive as well! I just took some bleach on a paper towel and rubbed it all over the cardstock until I got that faded look. It was fun! I would definitely challenge you to try this one! If you do, leave a comment here with a link so I can see! The lighting was kinda wierd so the pictures aren't the greatest! Even the sentiment looks a little crooked, but it is not in real life! :) I do love the card! 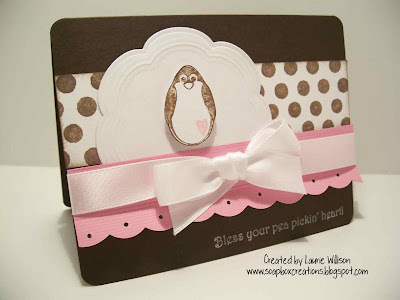 The Angel Company's May special has this set that I love...Pea Pickin! Isn't it so cute? 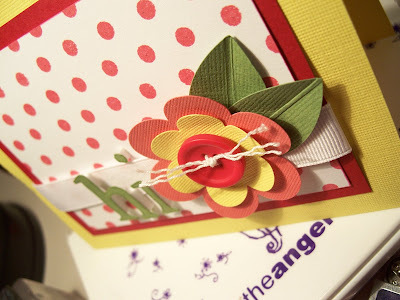 Can you tell I love the ruffle I made for the Scor-Pal Blog Hop? I am using it quite often!! Super easy to make! The Angel Company has a great monthly special right now! 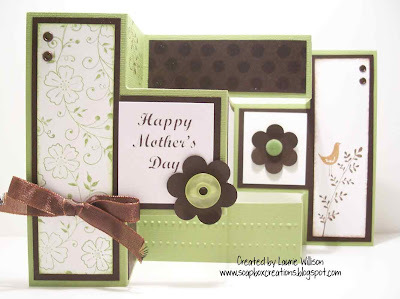 Click HERE to see the stamp sets that you can purchase at a great price! First I took some TAC Ultrasmooth White Cardstock, Landscape Palette Ink and a sponge. 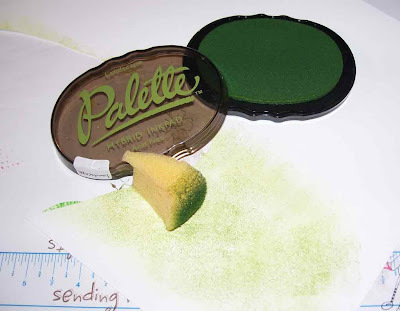 I used the sponge to create a green layer of ink. 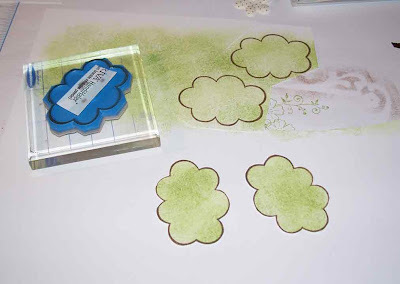 Next, I inked the "cloud" stamp with Burnt Umber Palette and then masked off the face of the "cloud" with a piece of a sticky note. 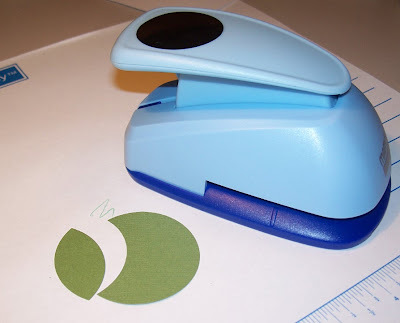 I then stamped the images over the green ink on the paper. After that I simply cut around each image! I also used Burnt Umber to go around the "cloud" and covered all the white edges! I think this looks so much more finished! 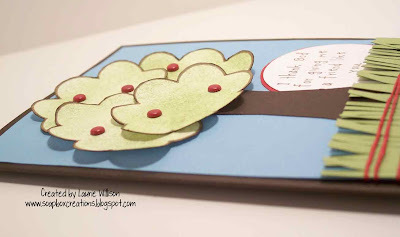 Then I just layered 3 of the images, glued them together, added some red brads, made a tree trunk out of brown bazzill and added to my card base! Here is another card I made awhile back! I used 4 images for this tree and no brads! 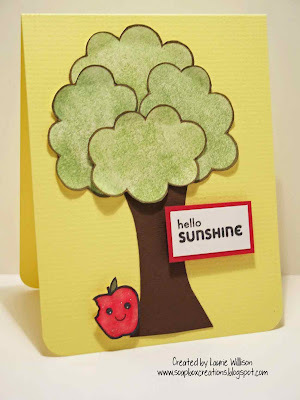 I used a sentiment from the Hello Sunshine Set and the apple! I love the apple! I used the Stardust Gelly Roll pen to color in the red sparkle on the apple! Remember you can get this set for $10.50 when you spend $30 or more! It will only be here until the 31st of May so call me now to place an order! So anyway, here is a simple fun card I made yesterday! I love love polka dots! Can't seem to stay away from them right now!!! And of course my favorite colors, red and brown!!! And here is one more fun thing! Here is a pic of my new friend Barb!!! Well we have been Paper Wings friends for awhile but I got to meet her in person on my trip! Marie and I went to her part of KC and we went to several scrapbooking/stamping stores! OMG did we have fun! And we had a GREAT lunch at the Cheesecake Factory! Let me tell you about Barb! She does amazing things with paper! Go check out her blog HERE! She is alot of fun and I so wish we had more time to shop or crop while I was there! Thanks Barb for taking us shopping! It was so much fun! Can't wait to see you at Seminar!! 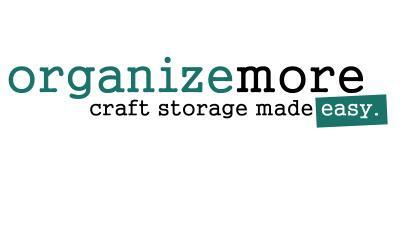 Today, a few of my Angel friends and I are posting some Mother's Day projects! 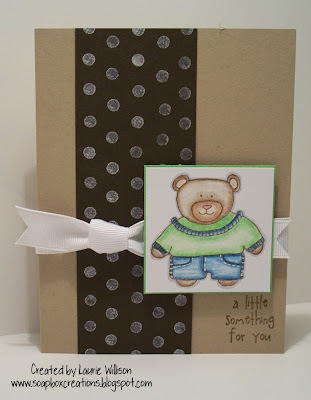 I decided to again, incorporate my Scor-Pal, just for you to see another fun and easy project! 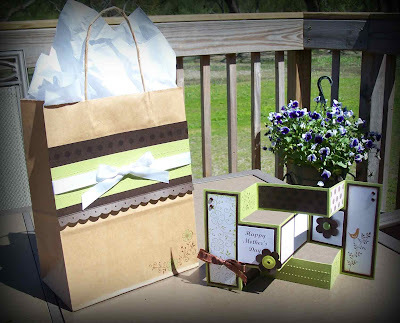 For this project, I made a card and a matching gift bag! 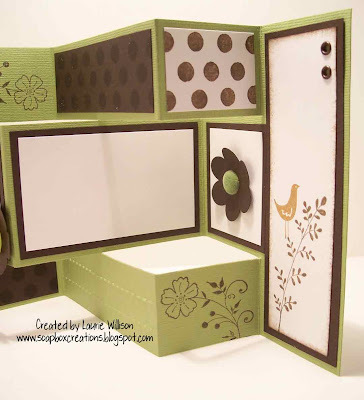 The card is the Tri-Fold Shutter card! 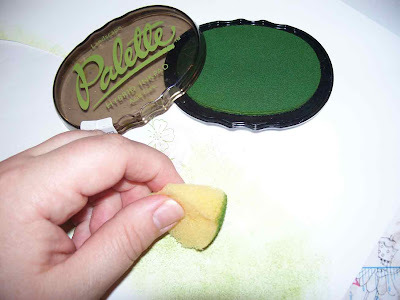 So easy and alot of fun to decorate! I took several views so you can see all the detail! 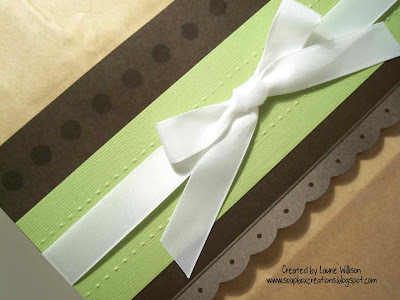 A little distressed ribbon is starting to distress me! Now that I took the pics and uploaded them, I have been staring at it for too long! Next time I would have to go back to a clean cut! Here you can see I used my new Scor-Bug on the bottom section! It made an adorable embossed pattern! Love that bug!! The gift bag was so super easy to make! 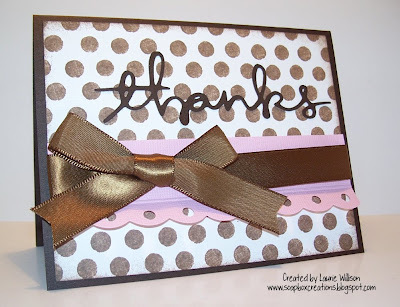 First, I made my little ruffle border on the brown cardstock! 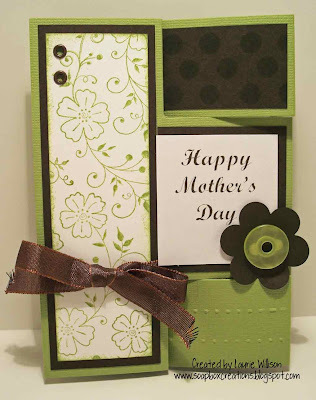 Then, I used the Scor-bug on the green cardstock and then layered the two! Tied a bow, made some polka dots with a pencil eraser and versamark and attached it to the bag! 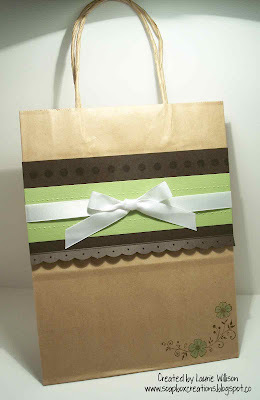 On the bottom of the bag, I stamped the same image from the card and used Pebbles Chalk to color in the flower! Super fast and super easy!! 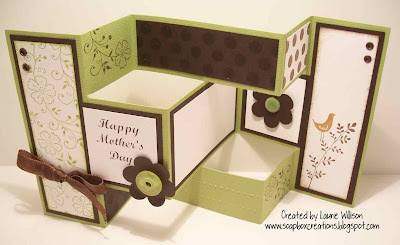 So now you can go blog hopping....check out all of these other great ideas for Mothers Day!! 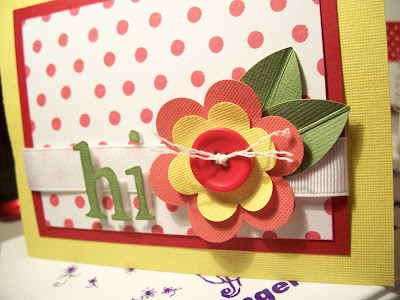 Thanks for blog hopping with me! Have a great day and Happy Mother's Day early!! !